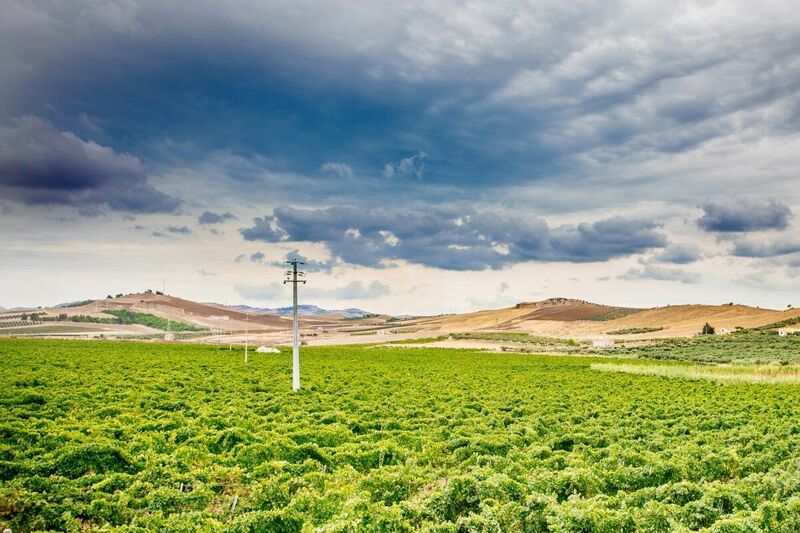 We are immersed in the countryside of Trapani, in the most planted in Italy, where the farmer know has built, over time, a story based on agriculture which has its most authentic expression in enology quality. It is here that we realized a production philosophy that accepts the tradition with a design wine naturally suitable for excellence. This areal is imprinted Sicilian wine history, this pristine place celebrates the union between the green of the vineyards and the blue sky. A unique and unrepeatable in full respect of nature. “Feuds Branciforti of Bordonaro,” writes another page of this wonderful tradition with a philosophy suited to the production quality. From the harvesting of the grapes to the delicate processes of winemaking. The harvest begins in the large mulberry tree in early August as soon as Chardonnay has reached the right degree of ripeness. Soon after, the expert hands of the tenants, collect the berries of Grillo. It ‘a slow process that reaches for the last ten days of September with the harvest of the grapes red grapes. The goal of such care is reflected fully in the processes of winemaking targeted to enhance the organoleptic characteristics of each grape variety. “Feuds of Branciforti Bordonaro” is all this, respect for the land, care in the vineyard and meticulous attention during winemaking. This philosophy is expressed fully in a diverse and eclectic range of labels dedicated to lovers of wine fresh and ready to drink.